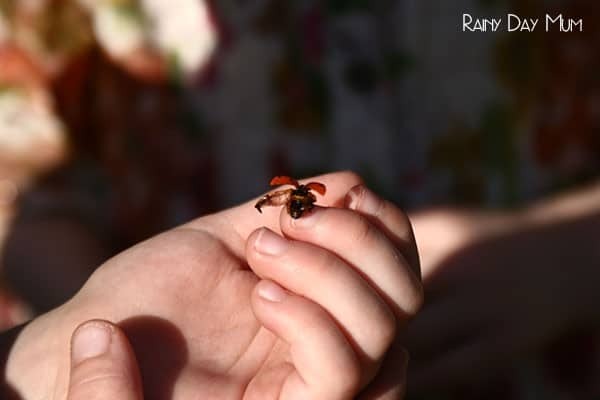 As a child, I remember singing “Ladybird ladybird fly away home your house is on fire and your children are gone” a lot I must have been a bit of a ladybird magnet and was always catching them looking after them and keeping them as pets. When my youngest was born I became a little bit more obsessed with those little bugs and she had a ladybird play mat, sleeper suits and we nicknamed her with a bug at the end because she was just so cute. 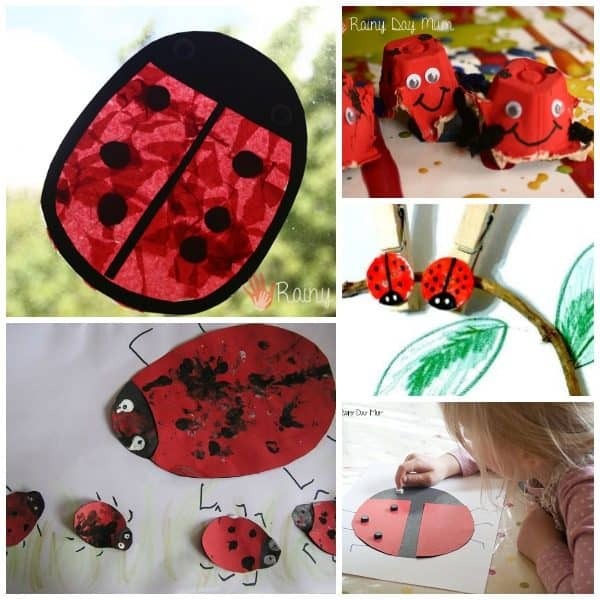 Because of that Ladybirds have featured heavily on our site for crafts and activities as well as during our Storybook Summer Bug Weeks each year. 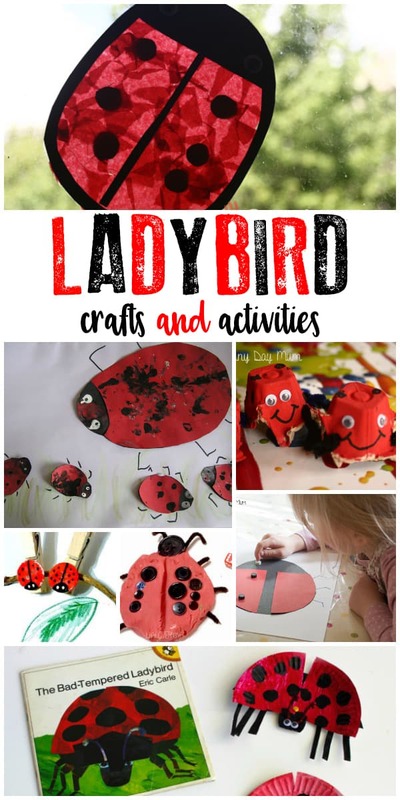 So check out our favourite Ladybird Crafts and Activities for Toddlers, Preschoolers and above. See those tiny little ladybirds along the bottom with the very neat spots – they were one of the first “crafts” that I did with my daughter the others were made by her big brother. She was only 4 months old and he was 22 months old! 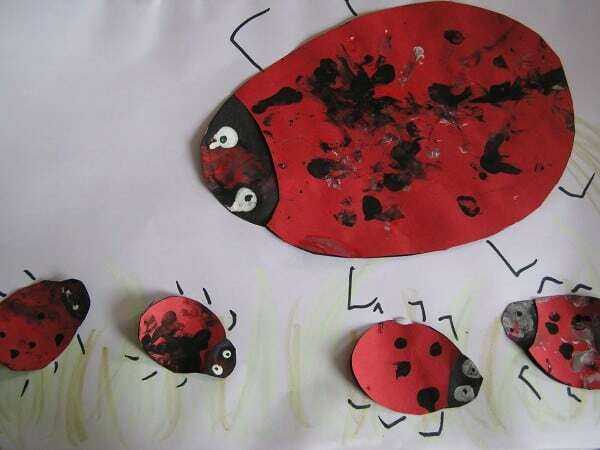 These fun fingerprint ladybirds are an easy toddler activity that turns process painting into a craft to display. Those ones above are on a small scale but you could go large and these paper plate ladybirds were another favourite of ours. We hid them around the garden for a birthday party and also used them for counting fun whilst we were making them. Egg cartons are a favourite junk material for us – with so much baking we always have some laying around thanks to the eggs we use. These Egg Carton Ladybugs are so cute and were easy to make too. If you haven’t read it we can really recommend the book The Bad Tempered Ladybird by Eric Carle (or as it’s known in the USA The Grouchy Ladybug) and these paper plate winged ladybirds are ideal to make whilst reading the book. 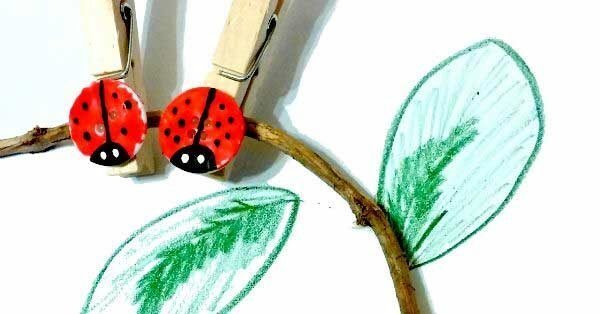 For older kids, they may want to have a try at making a button ladybird picture for the wall. They are easy to do but do require some patience and fine motor skills. This Ladybird Sun Catcher which we made as part of the Virtual Book Club for Kids and Mem Fox’s book Yoo Hoo Ladybug! 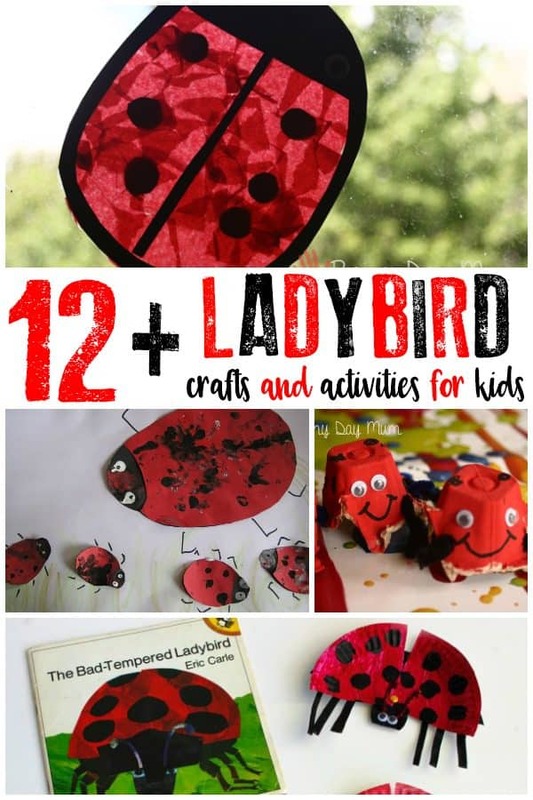 Looking for even more Ladybird Crafts for Kids – then check out our Fantastic Ladybird Crafts for Kids to Make. Manipulatives are really useful for maths and these cute ladybird pegs could be used for counting, clip cards on number lines or even decoratively. One of the nice things is that ladybirds lead themselves for are maths work. Those spots are handy for working on a number of areas. Symmetry and Doubling with spots is a great way to get children working hands-on with some of the basic principles that will help later on in maths. Maybe doubling is a step too far and you can use ladybirds for addition and subtraction too. Easy to set up and as you build your ladybird you have some great sensory play as well. Make your own bug and then use it to work on language – we worked on prepositions – on, under, beside etc… with this easy activity for preschoolers. Take the learning outside and hunt for ladybirds – you could count them, describe where you found them and even draw them. Of course, a sure way to make sure that you have plenty of ladybirds is to plant flowers that will help attract them to your garden. They really are a beneficial animal not just to inspire your crafts and learning but also to stop pests in your garden.